Barely 20 months ago when Uber cars hit the city streets, many had the expectation that the ridesharing service would bring about a cultural change here where auto-rickshaw drivers are always awful, but now Uber looks to have surrendered to Dhaka's bad traffic culture to the dismay of commuters. Urban experts think the Uber authorities should properly train and motivate the drivers registered with the company alongside ensuring its strong monitoring to bring about a cultural and behavioural change among them and thus maintain the international standards of its service. They also said the government should have strong monitoring and rules and regulations in place so that Uber and other on-demand ride-sharing companies are forced to ensure safe and smooth services for commuters with better facilities. Uber, the world's largest on-demand ride-sharing company, launched its service in Dhaka on November, 22, 2016 promising to bring about a change in the commuting experience in one of the world's largest metropolises. Talking to UNB, a number of Uber riders voiced their dissatisfaction bringing various allegations against Uber drivers. Their allegations include many Uber drivers want to know the destination first, sometimes refuse to go to the desired destination of commuters, request commuters to cancel the trip after wasting a plenty of time, demand extra money, misbehave with passengers, and sometimes they do not use the phone number which is registered with Uber. 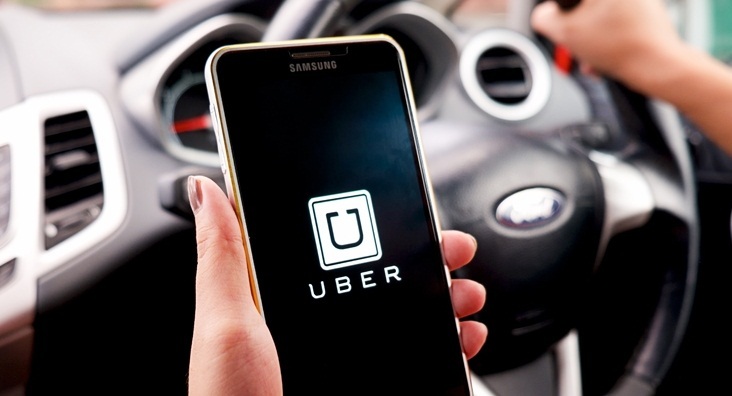 "Most drivers use the apps of different ride-sharing companies simultaneously, and they chose the trip which is favourable to them," Mostafa Kamal, a private company executive, told UNB. Another Uber user Jahanagir Alam said some Uber vehicles are not enough fit for ride-sharing which go out of order halfway through while drivers sometimes refused to run the AC. "Sometimes drivers neither call the passengers nor receive the phone call from the ride-sharers." Even, transport expert Prof Shamsul Haque of Buet, who often uses Uber, said most drivers lack navigation knowledge which is a serious problem to rightly pick and drop the commuters. "Uber authorities should look into the matter and train their drivers properly to solve the problem." He, however, thinks Uber drivers cannot misbehave with passengers as there are options to rank them and lodge complaints against them with the company. "The commuters must be conscious and know the options of punishing the errant drivers to force them to maintain discipline." Talking to UNB, another urban expert and former UGC Chairman Prof Nazrul Islam said Uber started its service with a positive impression, but it seems the company is losing its reputation due to some unchangeable attitudes of some drivers enlisted with it. "The Uber drivers sometimes behave like other traditional drivers and create some sort of problems with ride-sharers which the company should strongly monitor and resolve. The drivers should be properly trained and motivated for bringing about a change in their behaviour before they're registered with Uber." Besides, he said, the traffic department and other government agencies should also properly enforce law and monitor the drivers of the ride-sharing companies so that commuters can avail of quality service from them. Prof Sarwar Jahan of Buet's Urban and Regional Planning department said Uber in Bangladesh is completely dependent on professional drivers who are not well-behaved and educated which is contrary to the concept of the international ride-sharing company. "The concept of Uber is sharing ride with someone else going to the same direction to share the cost of the trip and thus save money. But, in our country it's a means of business. Car owners here usually don't share ride when they drive. They appoint drivers to do the job. So, it's difficult to change the behaviour and nature of drivers and ensure international standard service by Uber," he said. He said the Uber authorities should strictly enforce their rules and take strong action if any driver violates those to maintain their reputation. "The Uber authorities should also have motivational training so that drivers do not flout its rules. Contacted through email, the Uber spokesman without mentioning name said they are committed to offering riders a hassle-free transportation option and the company has already witnessed double digit increase in the number of riders and driver partners benefitting from Uber. "However, in case of isolated incidents like this, of driver induced cancellations and mentioned above, we would like to urge riders to use the app in support options (GIF here) to report this behaviour. This will help us look into the matter and take appropriate action," the official said.